When you purchase a vehicle with the CARFAX Buyback Guarantee, you're getting what you paid for. This well-maintained GMC Sierra 1500 Denali comes complete with a CARFAX one-owner history report. Pull up in the vehicle and the valet will want to parked on the front row. This GMC Sierra 1500 is the vehicle others dream to own. Don't miss your chance to make it your new ride. Simply put, this Four Wheel Drive is engineered with higher standards. Enjoy improved steering, superior acceleration, and increased stability and safety while driving this 4WD GMC Sierra 1500 Denali. Added comfort with contemporary style is the leather interior to heighten the quality and craftsmanship for the GMC Sierra 1500 You can take the guesswork out of searching for your destination with this GMC Sierra 1500 Denali's installed Navigation system. If you are looking for a pre-owned vehicle that looks brand-new, look no further than this Quicksilver Metallic GMC Sierra 1500. Get more for your money with this well appointed vehicle, including a factory warranty. The incredible 2017 GMC Sierra 1500 Denali is an invigorating performance machine that will pump adrenaline into any driver who dares to take the wheel. Do you really need any other reason to want one? Driver and passengers will celebrate the comfort and convenience this GMC Sierra 1500 offers with its well-considered features. This unbelievably rare GMC Sierra 1500 Denali is a perfect example of "The Best Man Can Build." This GMC is equipped with some of the most amazing wheels the market has to offer! 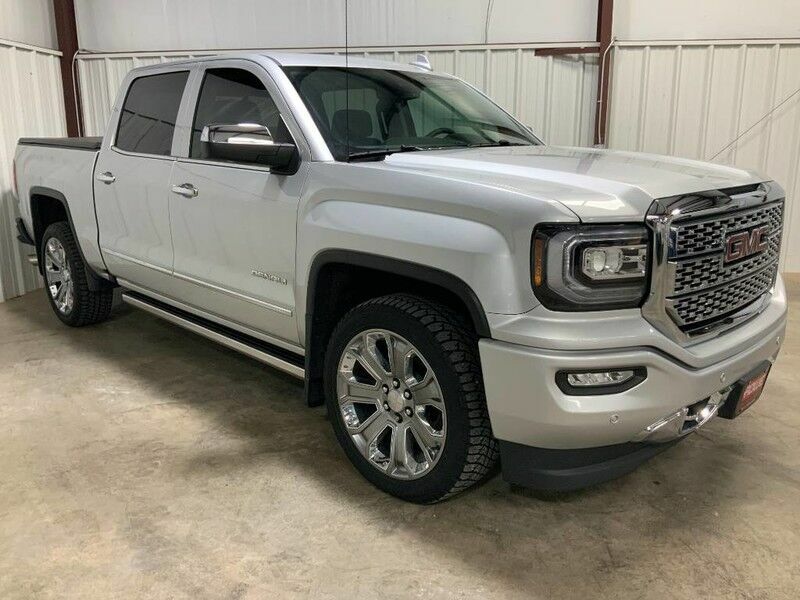 Once you take this GMC Sierra 1500 Denali for a test drive, you'll immediately realize how much of an added bonus this vehicle's upgraded wheels will provide.